Easily accessible, Molasses Reef Sanctuary Preservation Area is the most heavily visited reef in the Upper Keys – perhaps the world – for diving. Molasses is famous for its clear water, many fish, and numerous boulder corals. It is a classic outer reef with a well-defined spur and groove system of coral development. At the central portion of Molasses, offshore of the light, are a large ship's winch and historic Spanish anchor. Molasses Reef is located within the boundaries of the Key Largo Existing Management Area, formerly Key Largo National Marine Sanctuary. 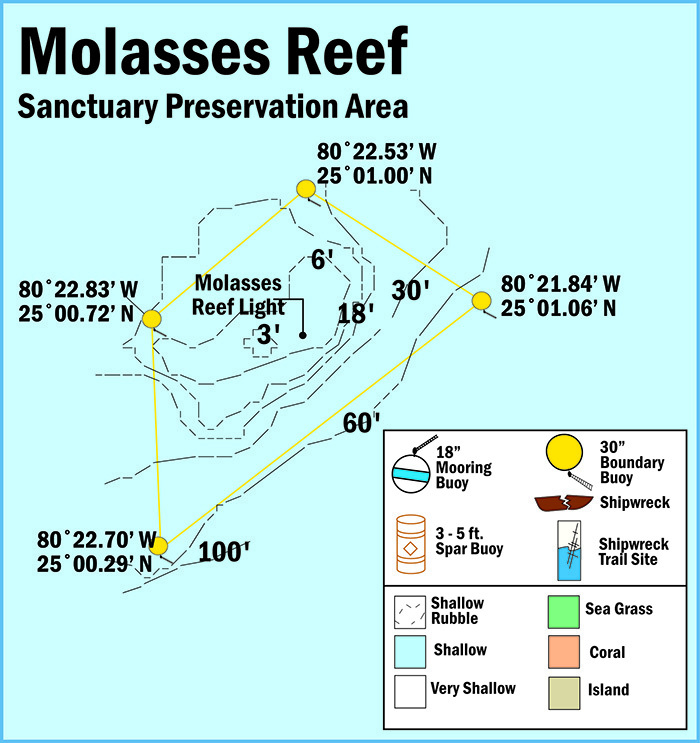 View a map showing the location of mooring buoys within Molasses Reef Sanctuary Preservation Area.